Dean Fiore took out the Dunlop Super2 Series race at Bathurst, after Macauley Jones and Garry Jacobson tangled fighting for the lead at The Chase on the last lap. The MW Motorsport driver moved from third to first within sight of the flag at the end of a dramatic race. A late Safety Car eroded an advantage Jones held over mid-race leaders Jacobson and Fiore, with the fight coming down to a one-lap dash. Jacobson was right behind Jones coming down Conrod Straight, with Jones then having a mid-corner moment at The Chase and being tagged by Jacobson. 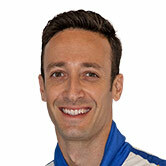 Both drivers fired off, as Fiore swept through to take the win ahead of Nissan team-mate Alex Rullo and Chris Pither. Jacobson limped home in fourth, while Jones could not get out of the gravel trap. Pither himself hit the wall at Murray's Corner mid-race but moved into the series lead over Paul Dumbrell, who failed to finish. Dumbrell clashed with Fiore on the run to The Cutting early, his Eggleston Motorsport Commodore sustaining right-rear damage. That incident is the subject of a post-race investigation. Notwithstanding any changes to the results, Pither will head to Newcastle's finale next month with a 32-point lead over Dumbrell. At the start of proceedings, polesitter Jacobson was slow away and lost out to Brodie Kostecki into Turn 1, Pither following suit and getting the jump on Fiore. Jacobson moved back into the lead at The Chase on lap three, as Jones – running seventh – ran wide and through the gravel. The first of three Safety Car periods was caused by Bryce Fullwood, who tagged the wall exiting The Chase on lap four, ultimately stopping at pit entry. Jacobson was among the leaders to pit during that yellow, Kostecki doing the same during the second Safety Car period, called when Jake and Kurt Kostecki clashed at Turn 1. The early leaders were third and 10th after those stops, and Kostecki remained down the order until a collision with Jordan Boys at The Chase on lap 33 ended his race. That brought out the third and final Safety Car period, with Boys picking up a left-rear puncture and flying off at The Chase the next time around. It put Jacobson right behind Jones in a one-lap dash to the flag that ultimately ended with a victory for Fiore. Jacobson led Fiore through the middle of the race, but both were jumped by Jones at the second and final pitstops. Jones had a comfortable margin until the late Safety Car period, as Jacobson made his way back past Fiore in the all-MW Nissan fight. The last-lap clash elevated Fiore to top spot, Rullo into second and Pither third by 0.0608s. Behind the recovering Jacobson, Shae Davies took fifth, ahead of Mason Barbera, Nathan Morcom, rookies Thomas Randle and Dominic Storey. 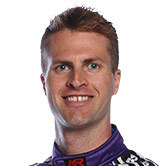 The combination of Brenton Grove and two-time Le Mans winner Earl Bamber - who started last on the grid - rounded out the top 10 as the only squad with two drivers. Bamber is also contesting the Supercheap Auto Bathurst 1000 on Sunday, alongside series leader Shane van Gisbergen. 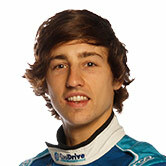 He will be joined on the Supercars grid by Fiore, Rullo, Pither, Jacobson, Jones, Dumbrell and Fullwood. The Dunlop Super2 Series concludes on November 23-25, as part of the Coates Hire Newcastle 500.